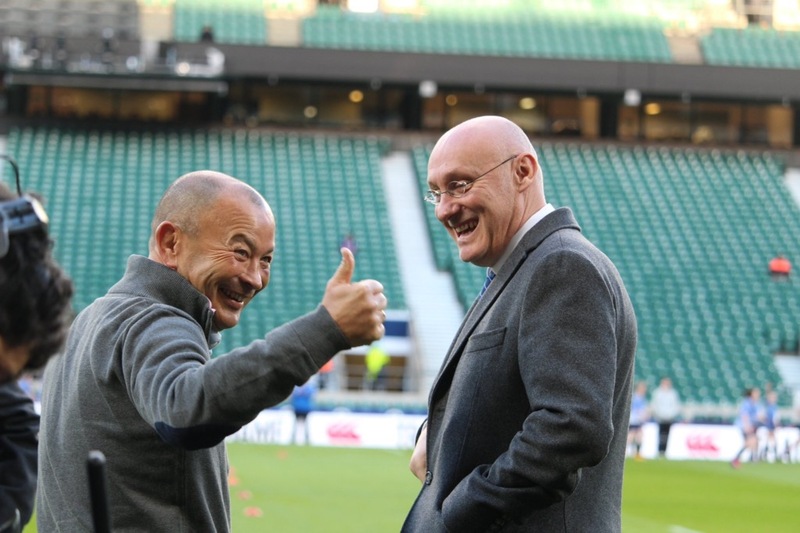 French Federation president Bernard Laporte has spoken passionately in favour of his plan to introduce federal contracts and reform the approach to player development in France. Les Bleus sit fifth in the RBS 6 Nations table after three matches, having beaten Scotland and lost away to England and then Ireland this weekend. While France claimed the Grand Slam in 2010, they have not finished in the top half of the Championship in five seasons, and finished bottom of the table for the very first time in 2013. As a result Laporte, who was elected president in December, has vowed to bring in strong measures to reverse this trend, introducing contracts with the FFR as well as working hard on the development of young players. On Sunday, speaking on the programme Stade 2 on France 2, he went into depth about his plans for the national team, using the examples of Ireland and Scotland to illustrate his vision for the future. Laporte explained that the players had already signed an initial commitment to the new reforms, with hopes to have federal contracts in place within two to three weeks. “The first thing is to protect the French national team,” said Laporte, who coached France for eight seasons, winning four RBS 6 Nations titles including two Grand Slams, while he also coached Toulon to three European Cup titles. “Other teams have reformed, I’m not talking about the southern hemisphere, I’m talking about the north, Ireland and Scotland. Protecting means that a player is available for France a lot more than they are today. A new convention was signed in July 2016 for four years under previous FFR president Pierre Camou, giving France coach Guy Novès greater access to his players. In this year’s Championship, the France coach has been able to keep an extended group of players with him over rest weekends thanks to a new elite list, rather than having to release them back to their clubs. However Laporte wants to go further, giving Novès more time with the squad in the short-term, while working on development in the longer term. He added: “There are two main axes, one is development. That I care about, there are too many positions where we lack players because our development isn’t ideal. So we will put people on the ground to train the coaches of young players and that’s a long-term project that we’re trying to put in place. And in the short term we want to protect the French team. “On Monday we signed contracts with the players, individually, on a new convention, which we will go back over, but which is above all a commitment to say they are in favour of our project and the creation of federal contracts. So that players have a contract with their club and with the federation is the most important. The next step for Laporte will be to negotiate with the LNR and the clubs to get them to agree to a new convention.